It’s been a year since President Jacob Zuma shocked South Africa’s communications technology industry by announced he was splitting the department of communications in two, creating a new department of communications and, reversing the trend of convergence, renaming the old one telecommunications & postal services. If it was Zuma’s intention to split the department in order to speed up policy implementation in telecoms, the experiment has been an abject failure. The telecoms department under Siyabonga Cwele has achieved little in the past 12 months. And South African consumers and the telecoms and IT industry are suffering for it. Cwele has plenty on his plate, if he could just be bothered to get to it. His department needs to issue a raft of policies to speed up the delivery of broadband in South Africa. By not doing so, he is actively standing in the way of government’s professed desire to expand affordable access to the Internet to more people, including the rural poor. 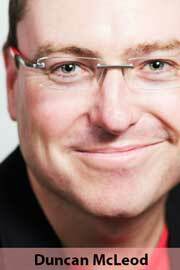 The minister’s budget speech vote in parliament was devoid of action plans. Indeed, all he did was repeat the same tired promises of the past. Frankly, it was a snooze-fest. A sector that should play a key role in growing South Africa’s economy deserves a political leader who not only understands the issues but acts as a champion for what the sector is capable of achieving. Cwele is not that person. Perhaps it’s not fair to pin all the blame on Cwele, who is just the latest in a long line of telecoms ministers – he’s the fifth under Zuma’s presidency alone after Siphiwe Nyanda (what happened to him? ), the late Roy Padayachie, the disgraced Dina Pule and the hard-working and widely admired Yunus Carrim. Each of these ministers inherited a dysfunctional department, where infighting seems to be the order of the day. A powerful director-general, Rosey Sekese, is said to be at the centre of the paralysis in the department, where policies, even urgent ones, take years to produce and often don’t see the light of day. Government, for example, should have published its policy on high-demand spectrum years ago. Only now is it (apparently) going to be sent to cabinet for approval. And a policy on the rapid deployment of network infrastructure — needed to allow telecoms firms to build networks faster — is missing in action. These “rapid deployment guidelines” will assist operators by getting rid of the red tape that holds up applications to build infrastructure on both public and private land, if only they were published. Instead of being seen to press his department to get a move on with these crucial projects, Cwele seems more interested in conducting site visits to post offices (more so than actually fixing the broken institution), schools and police stations to assess their connectivity needs. 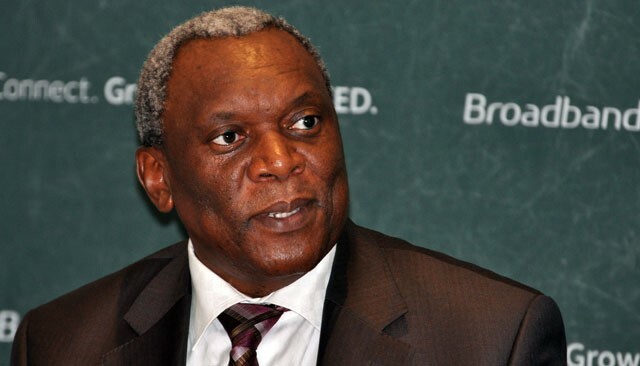 And Cwele had the temerity, in March, to accuse the market of failing to deliver broadband to all South Africans when justifying government’s decision to intervene in the sector by naming Telkom as the lead agency for broadband roll-out in underserviced areas. That project, which Telkom has begun work on, looks designed more to allow the politicians to boast about how they’ve brought infrastructure to rural schools, clinics and other facilities than having a meaningful impact on millions of rural people’s lives. The fact is, government hasn’t given the market the chance it needs to prove itself. If anything, there has been a failure of government rather than a failure of the markets. If Cwele genuinely wants to get the Internet into the hands of everyone in South Africa (and I do believe he does), he’d get the private sector — which is much more efficient than any government agency will ever be — to do it, by using a carrot and stick approach, for example, in allocating new spectrum. ANC politicians need to (but probably won’t ever) get over their manifest ideological distrust of the market economy. This distrust is holding back South Africa’s development in all too many ways. Even if Cwele believes government needs to play a central role in expanding digital access to the poor (it doesn’t), that’s still no excuse for retarding the growth of the private sector by dawdling on the crucial policy work that his department is there for. Let’s hope he does more — a lot more — in his second year as minister. His salary is currently how many grand per month with free travel, cell phone calls, gigantic 4×4 and housing all mahala? Who needs to actually DO anything when Zuma/Luthuli House/Gwede is your boss? Cwele is merely there to help his boss over the hurdles of Nkandla, like the other 46 in the cabinet! The telecomms side of things is merely a fig leaf for all the above mentioned Mahala’s. Just think how much better SA would be without the albatross of an ANC government around its neck. Is it possible to be this useless without actually TRYING to be useless? But if the rural poor had access to internet, they could watch the EFF in parliament or read stories about firepools. Educating the rural poor is probably the worst thing the ANC could do for themselves.